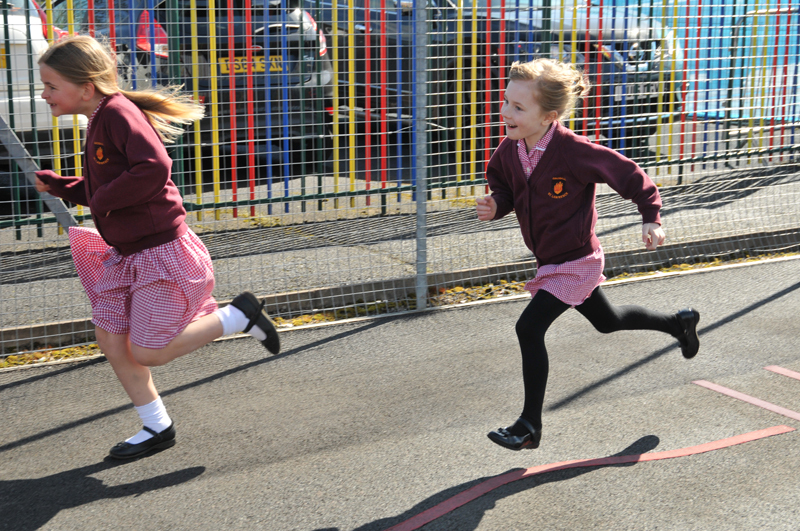 We are one of the first schools in Staffordshire – if not the country – to adopt the Daily Mile as a fully integrated daily activity for everyone in the school – including staff! It is a sad fact that levels of obesity are increasing throughout the country, and part of the reason for this is that people, and especially our children, are taking much less exercise than they used to. Recreation these days is much more passive – computers and TVs have replaced running and cycling – and our Daily Mile is our way of helping to correct the balance. 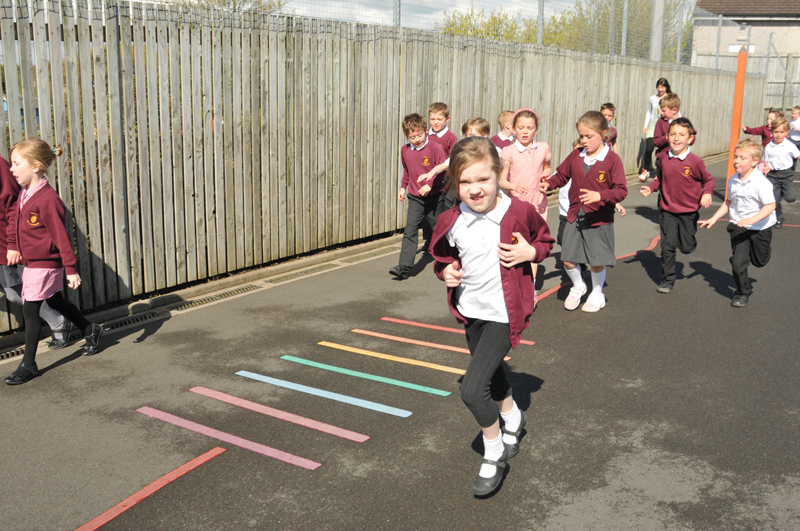 The Daily Mile is a regular part of our day – no fuss is made about it, children don’t change into P.E. kit (although some choose to change their school shoes for trainers) and no-one is pushed to do more than they feel comfortable with. Distances are not measured, and there is nothing competitive about it – except that we do find most children are quite keen to keep their own count of laps and to try to increase their capability. Is it working? Well, one parent commented after the first couple of weeks that her child had ‘shrunk’ by two belt holes on his trousers – and that was only one of several positive outcomes! Most importantly, the children look forward to doing their Daily Mile, get a great deal of satisfaction from it, and return to the classroom focussed and keen to continue their learning. Evidence suggests that what children do habitually by the age of 11 they will do for life; who knows what long-term effects increased exercise might have for them but evidence suggests it will all be good! 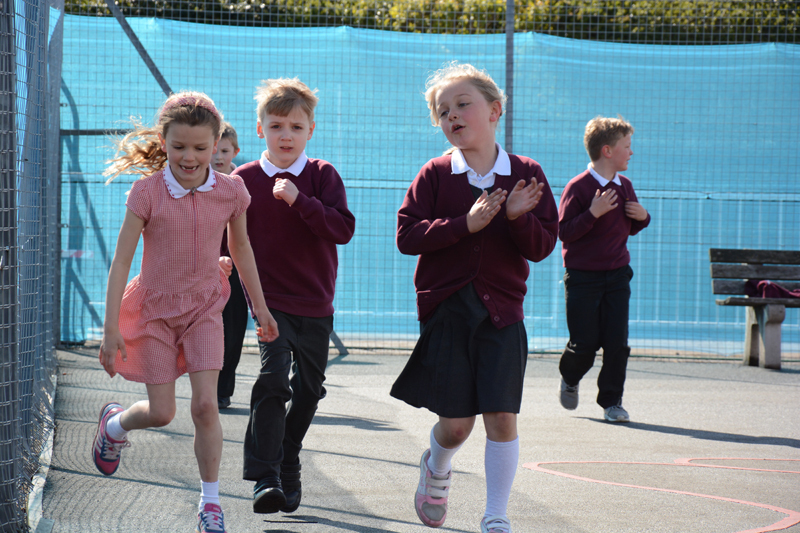 This newsletter is all about the Daily Mile at St Lawrence’s – please do have a look!